Pretty in Plum� or at least that is what I’m hoping. 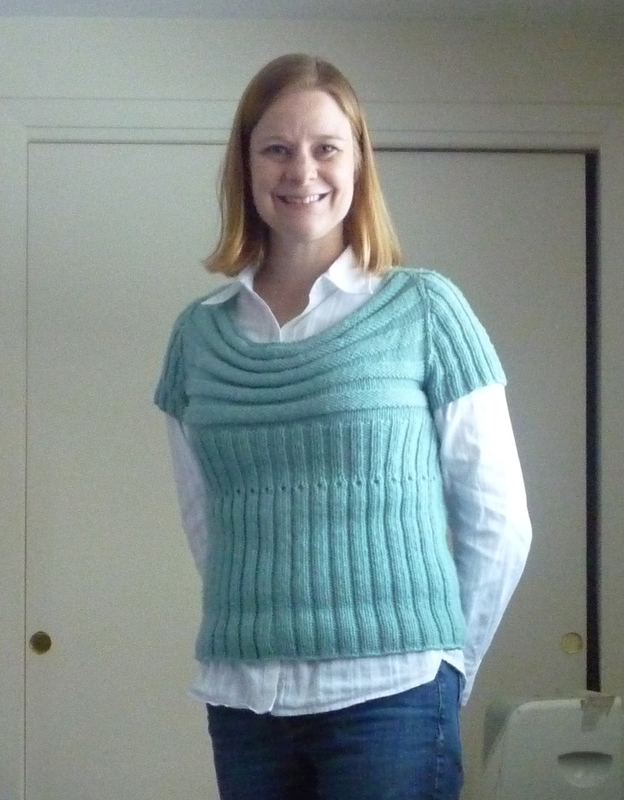 I love this Scoop Pullover from Interweave Knits. So much so that I already made back in 2009. I have literally wore the hell of it and have had to repair several times. I decided after the last repair job it was time to make a new one. 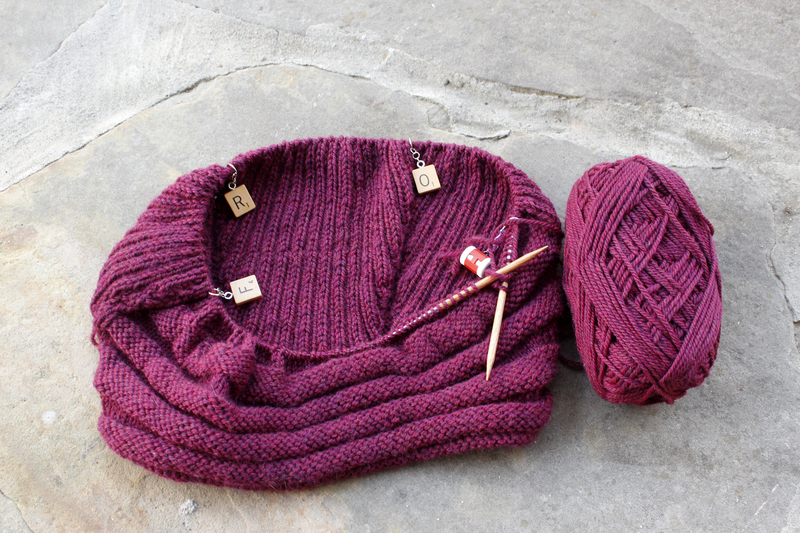 One in this beautiful plum heather yarn from Patons Classic Wool worsted weight. I’m at the end of the toddler winter set hat. Starting with 72 stitches and then the first decrease calls for *K2 tog, K3 to end and then you should have 56 stitches? Doesn’t work mathematically, I end up with two more stitches to knit as the decrease is in sets of 5. Stitches in total…. Help! I responded to your email. I’m going to change the pattern to fix the error. As I said the extra two stitches aren’t going to make that much of a difference so just continue the pattern as is just ignore the stitch count for the row (as it’ll be 2 stitches more). I probably only cast on 70 stitches, but made an error when I wrote it out – that pattern is 11 years old I think.